Work as a Private Occupational Therapist through The OT Centre www.jobs.theotcentre.co.uk. We have lots of opportunities with flexible arrangements to fit part-time working alongside your existing job. Not sure if private practice is for you... ? Not sure how you would get started or what's involved... ? The OT Centre is for you! We specialise in working with OT's like you who have great clinical experience and are looking for new opportunities. We would love to hear from you, we're happy to have an informal chat or put you in touch with one of our OT's to find out what it's like working through The OT Centre!. We are expanding our national service coverage, we pay the best rates and have flexible arrangements to fit-part time working alongside your existing job. 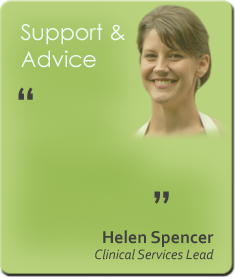 Helen Spencer is The OT Centre's clinical services lead, a highly respected Occupational Therapist and appointed advisor for The British Association of Occupational Therapists (BAOT) and College of Occupational Therapists Consultancy Service.